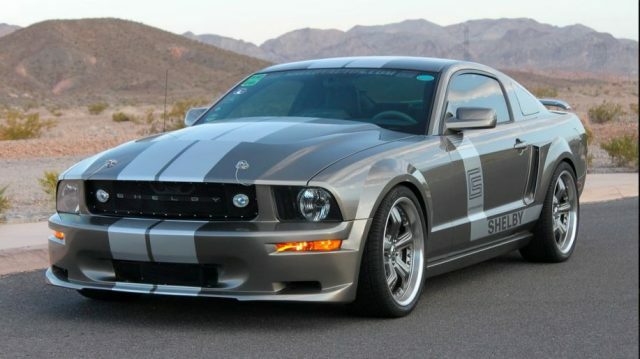 This 2005 Ford Shelby CS6 prototype will hit the auction block during Mecum’s upcoming Las Vegas auction. It’s not every day that a Shelby prototype comes up for auction. This pony was used by Shelby to create the manual for the Shelby Paxton V6 supercharger and is the only Shelby to come with the supercharger care label. Inside, you’ll find two-tone black and gray leather seats created to look like the seats from the Shelby Series 1. Carroll Shelby’s signature can also be found on the upper console and gauge pod. Mecum’s 2018 Las Vegas auction starts on November 15th and runs through November 17th. Head over to mecum.com for more details.